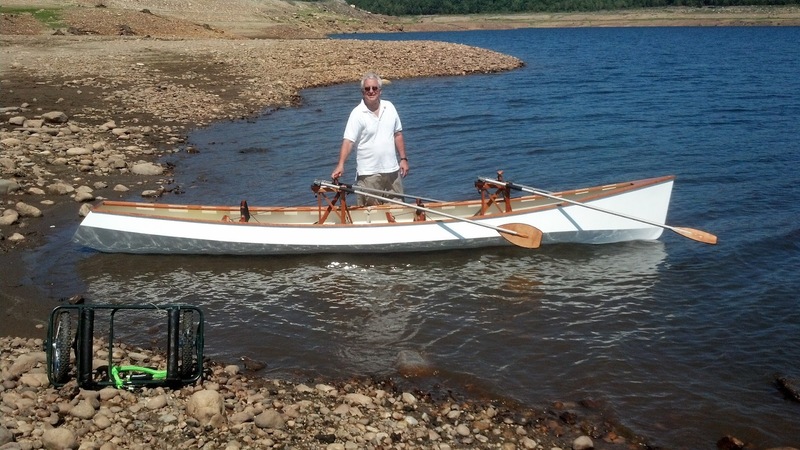 Home boat builders just love rowing gadgets like the Hobie Mirage drive or the various forward-facing rowing gadgets you can get. 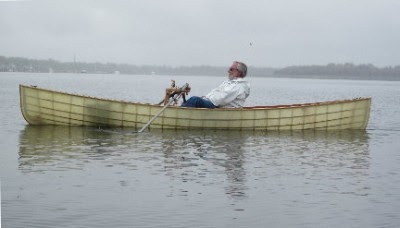 Unfortunately, Hobie make buying a Mirage drive without one of their effective but rather horrid rotomoulded canoes extremely difficult and expensive, though that hasn't stopped the Home Built Boat Rally's Tim O'Connor from obtaining one and fitting it in his self-designed camping canoe. Paul Smythson of the HBBR has even fitted one to the rudder of his Walkabout, linked by an ingenious crank mechanism to pedals in the cockpit to form a human-powered outboard. The Frontrower from Ron Rantilla is very readily available to home builders, in contrast, and his latest newsletter shows how varied and interesting the results are.